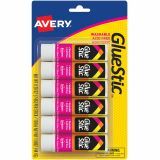 Avery Glue Stic Permanent Adhesive 6/Pkg - With an Avery Glue Stic you can securely fasten paper, cardboard, photographs and more. Just lift the cap and twist the base for smooth, easy application. Great for crafting, scrapbooking and other projects. Our acid-free, nontoxic glue stick is safe for school, home and office, and the adhesive easily washes off hands and clothing. ACMI certified. Conforms to ASTM D 4236. 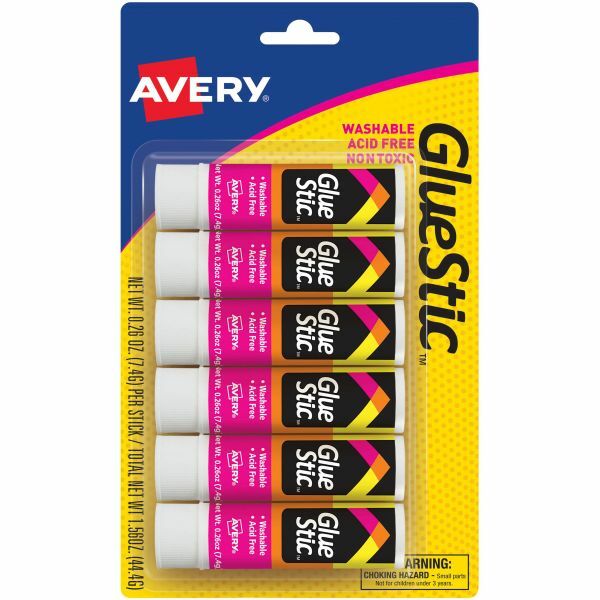 This package contains three 0.26oz permanent glue sticks. Imported.